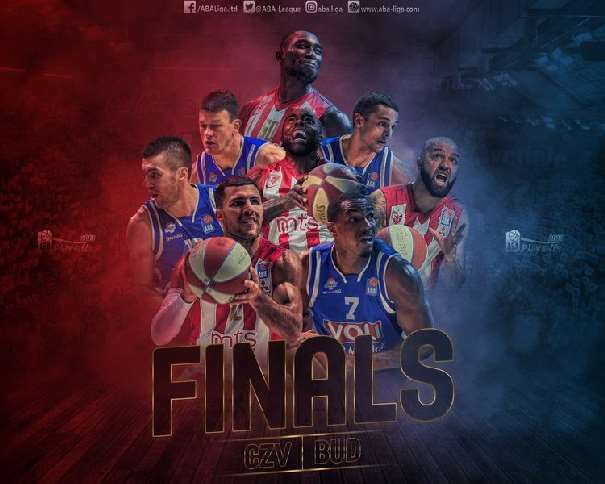 In the last ABA League semifinal games, Crvena Zvezda won 84 – 63 against Partizan, while Budućnost was better in Zagreb, against Cedevita, with a score of 73 – 78. 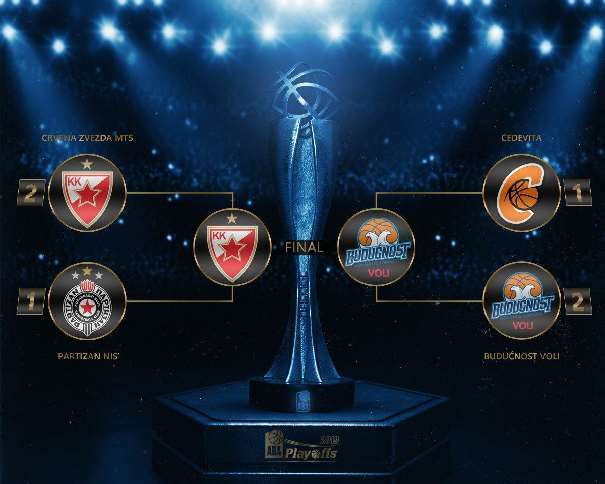 The team from Podgorica (Montenegro) will try to defend the tittle and the spot in the EuroLeague, while The Red-Whites are going to try to return the best European club competition to Belgrade. In the match between The Red-Whites and The Black-Whites there were no doubt about who will win in the third game because the home team was leading from the start. They wanted more and in every part of the game, Milan Tomić’s squad didn’t let their opponent to get close. 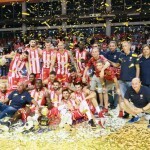 Andrea Trinchieri’s team was only better in the last quarter but it was not enough to make a comeback and win in the Aleksandar Nikolić Hall (also known as Pionir), in front of The Red-Whites crowd. 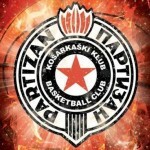 In the first quarter the score was 21 – 13; in the second one, Zvezda won again, 23 – 15; in the third one the result was 20 – 13; and in the last one, Partizan won, 20 – 22. As all players announced that every derby is a story for itself, it was the case this time too. In the first two semifinal matches, the teams were playing on the same level, and in this one it was a one team show, The Red-Whites kind of show. Partizan was powerless. Coach Milan Tomić prepared his squad well and surprised their opponent at the beginning, so, The Black-Whites couldn’t come back in the match after the initial shock. It looked like Trinchieri’s players didn’t have enough strength to get back in the match. The top scorer in the home team was Stratos Perperoglou with 18 points (index rating of 12), while the best players on the court (MVPs) were Ognjen Dobrić and Filip Čović (both of them had an index rating of 13 and both of them scored 10 points). 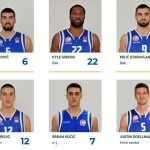 Besides the double-digit scorings, Dobrić had 7 rebounds, while Čović added 6 assists. On the other side, Nikola Janković was the best with 10 points and 4 rebound for an index rating of 15, while Vanja Marinković scored 12 points (index rating of 12). Marcus Paige finished the match with one point less than Vanja, but he also had 6 jumps (index rating of 12).